Here is a key shot that can easily be missed by some other wedding photographers. 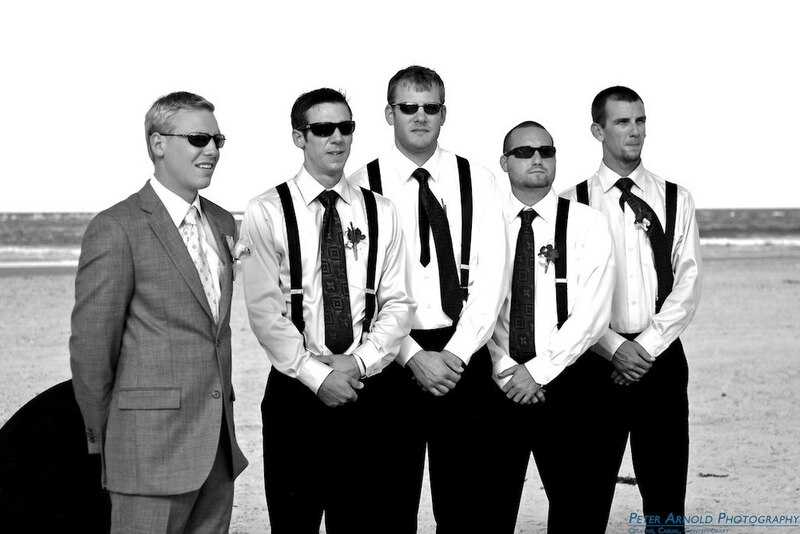 Here I captured a great shot of Morgan and his Groomsmen as they were waiting for the wedding to start. This wedding was right on the beach at the south side of Ponce deLeon Inlet in New Smyrna Beach, FL. The groom is also a pilot and had arranged for some of his friends to do a flyover of the wedding in some vintage WWII fighters.